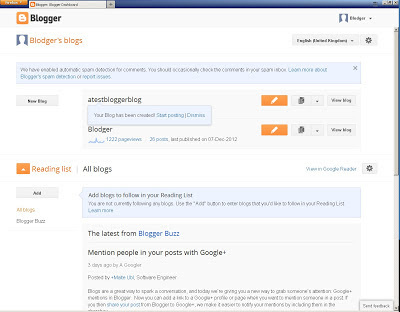 These are the most basic steps to set up a blog using Google Blogger. 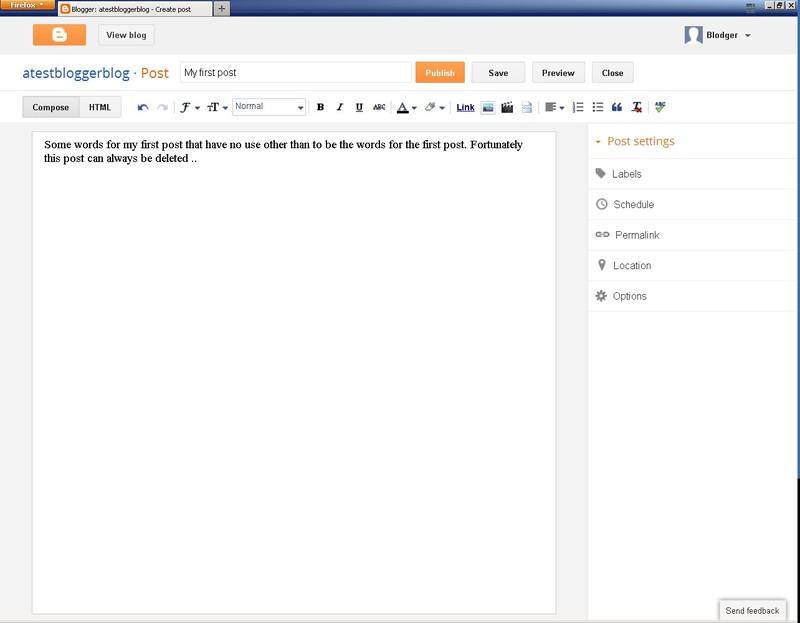 Although you can dive straight in and start creating posts, and then start modifying your blog content, layout and template, you are probably best advised to create a test site first and play around with this. When you are more confident you can then create your real one, (which of course you can always scrap and start again). 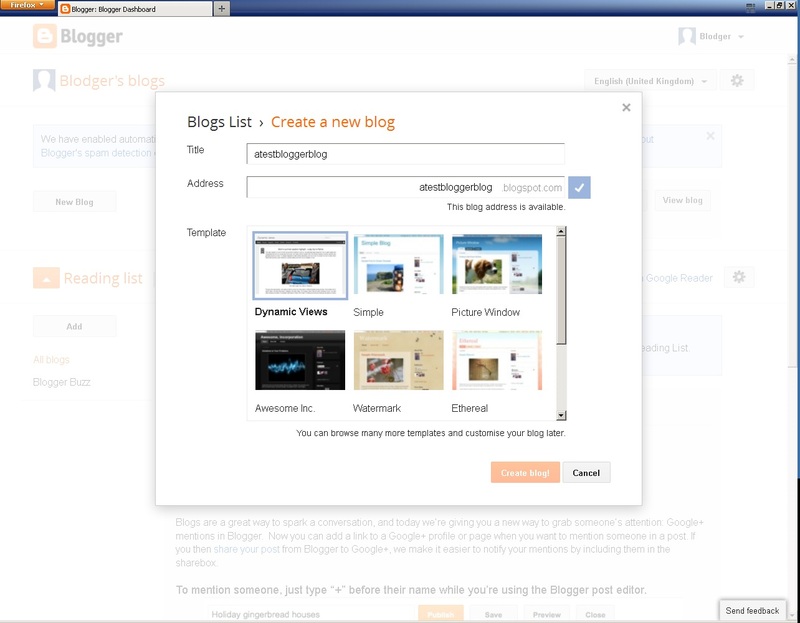 Within your blogger account you can create multiple blogs of which some can be "live" whilst others remain "hidden" and private to only the account holder. 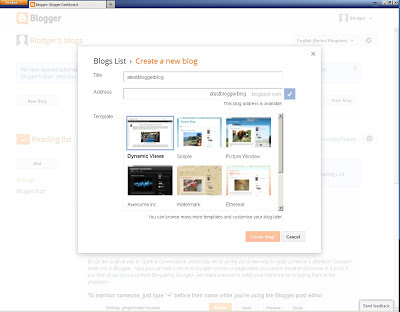 There are occasionally issues with this account creation process and there are several security steps which take a few pages of effort but once you are through you will arrive at the Blogger dashboard for your new account. 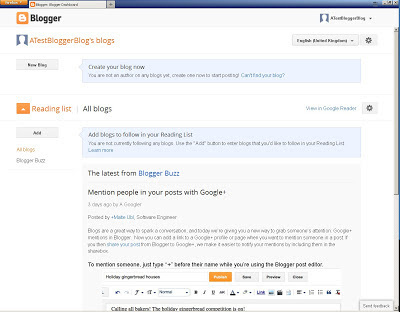 Create a blog Before you click on the new blog button you might want to think of a title (ATestBlog) and web address atestxyz@blogspot.com). 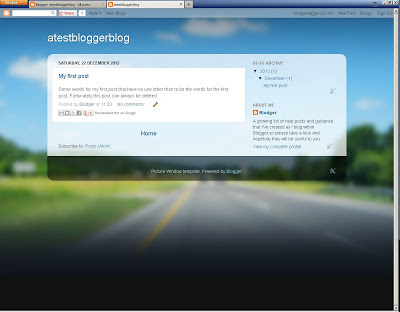 The name and address can be almost anything - "ATestBloggerBlog" for example. The title and content can be changed at any time. 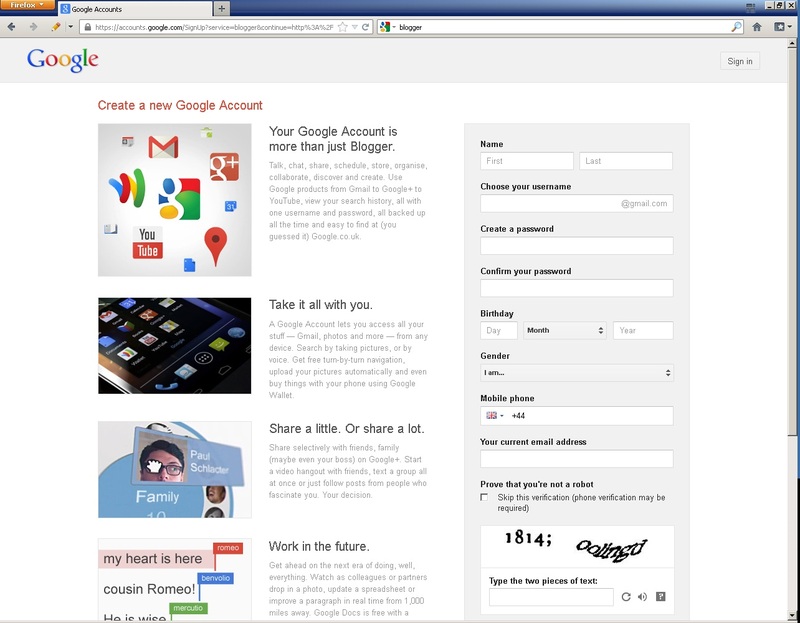 The web address will be checked to see whether it already exists and if not, and you submit this request, it is then yours, and at this point associated solely with the account you created or used in step 1. The web address cannot be changed once done, although you can theoretically move your blog to a new one (advanced topic later). Pick template. 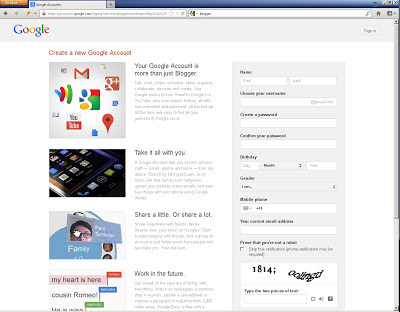 At the same time you can also pick a template (which is effectively the background and style of your blog). Pick any at this stage as you can change these later. New Post. Click on the new post and enter any title and some words. Press Publish when done. Remember can always delete this and start again. 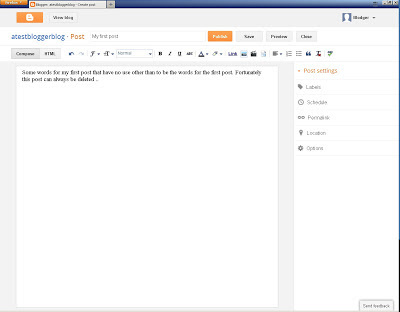 When you have submitted you are returned to the overview screen where you can see a new entry of your first post. 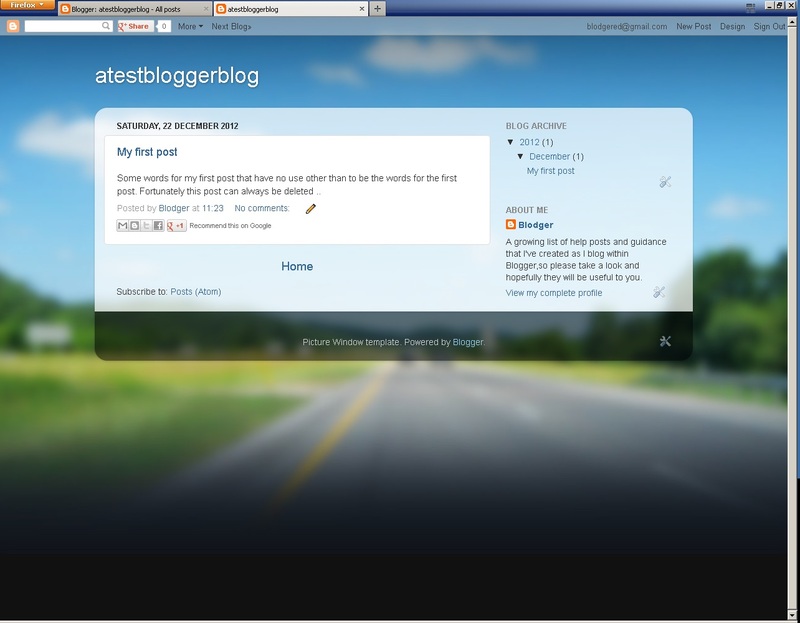 Then click on View to see what your blog looks like ! And that's it. 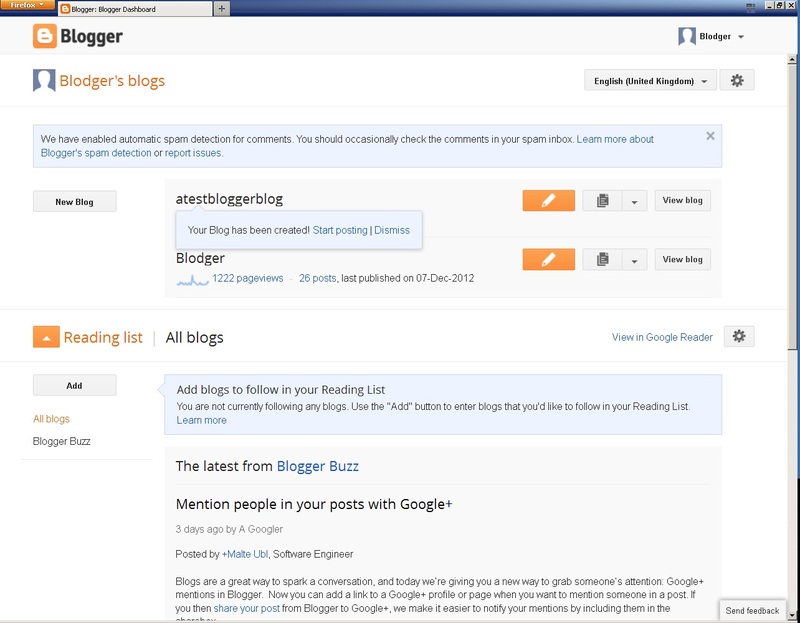 If you look at the blogger top "navbar" and click the next blog link you will be taken to another random blog. 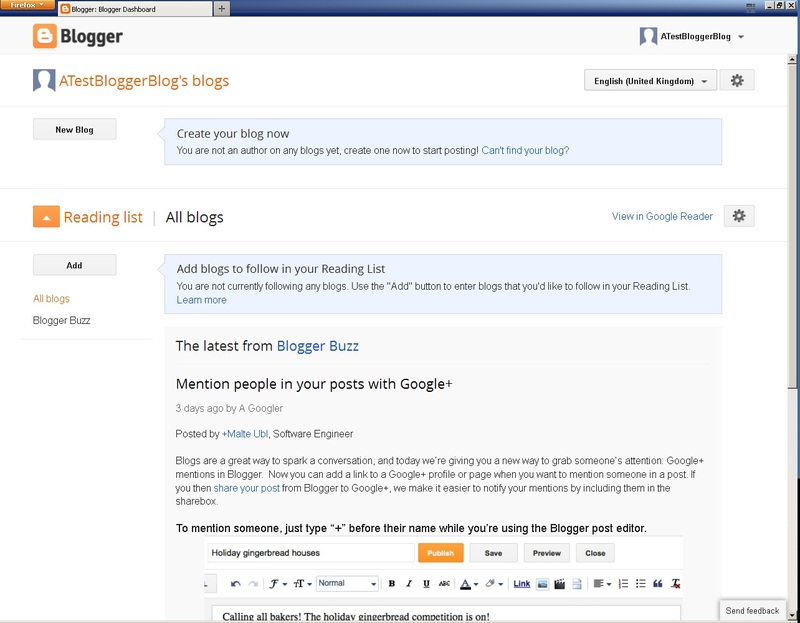 Keep doing this and you will see how much you can do to change your blog.